Today I have an oldie but a goodie on the blog for you. This polish has been around for a while, but you can still get it I believe. Also, just so you guys know...I got stung by a bee the other day and I'm all swollen and gross looking, including my hands. But I'm not going to let that get in the way off life. 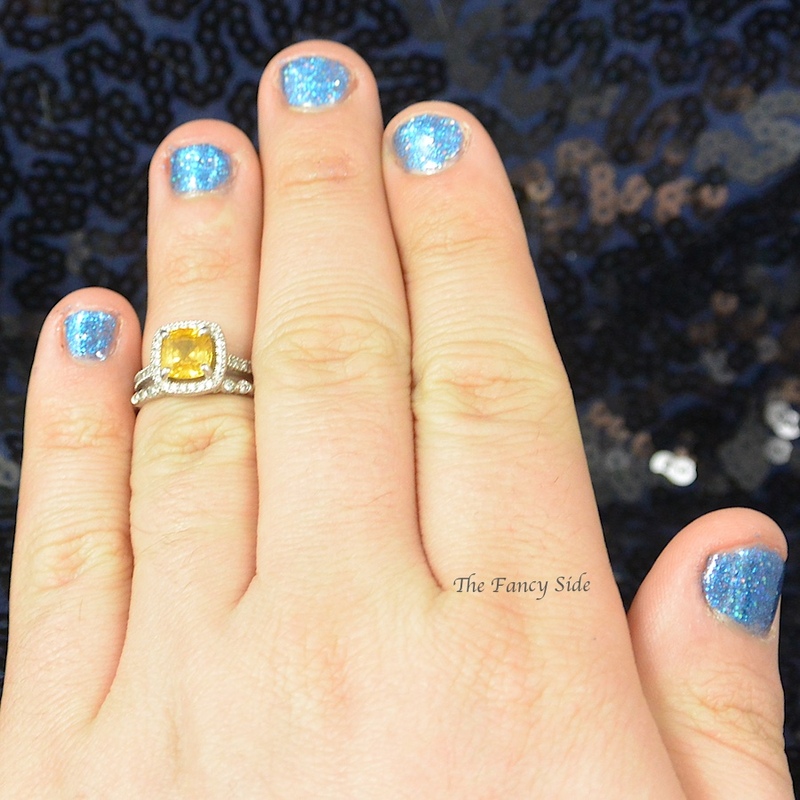 So...lets look at Orly Angel Eyes. 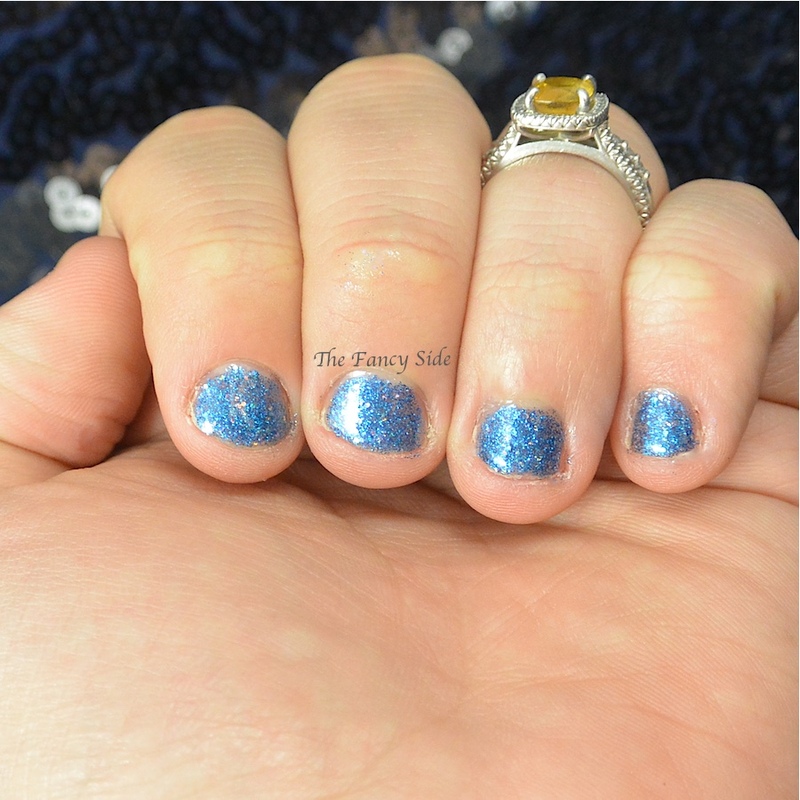 Angel Eyes is a mix of small bright blue glitter and blue hex glitter. It's a little sheer at first but builds up nicely to full opacity. I used three thin coats here with wait time to minimize dragging. APRIL FOOLS! I'm sure you all figured that out, these are obviously my hubby's fingers who is a VERY good sport. Thanks for letting me pretend I pranked you. Lmao! I'm glad you like it!